A handy leather lanyard that holds your eGo electronic cigarette and lets you keep it around your neck. Never lose your e-cig again !!! 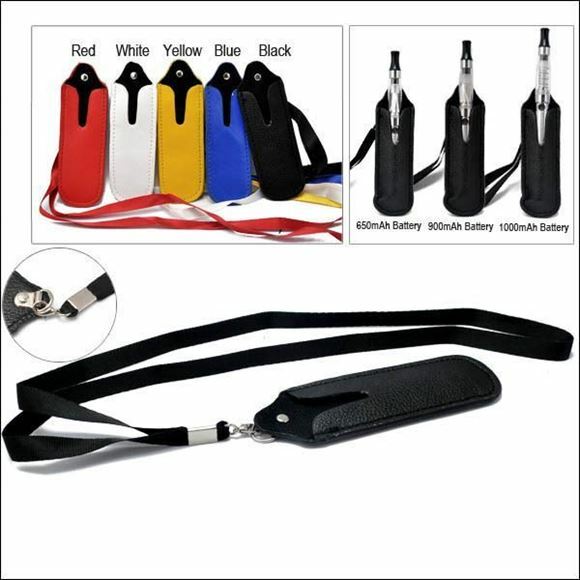 Highest Quality Lanyard designed for your valuable e-Cig/MOD. This is an Original Quality unit superbly designed and built to last. Fits all Ego Series Batteries and even some larger MOD/APV's. Designed for Mod type batteries.